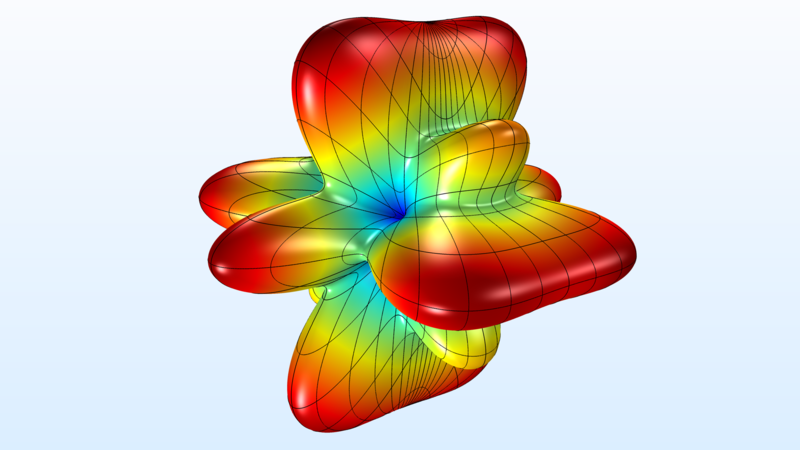 Today marks the release of a new version of the COMSOL® software, which includes core functionality updates and major updates to the add-on modules. 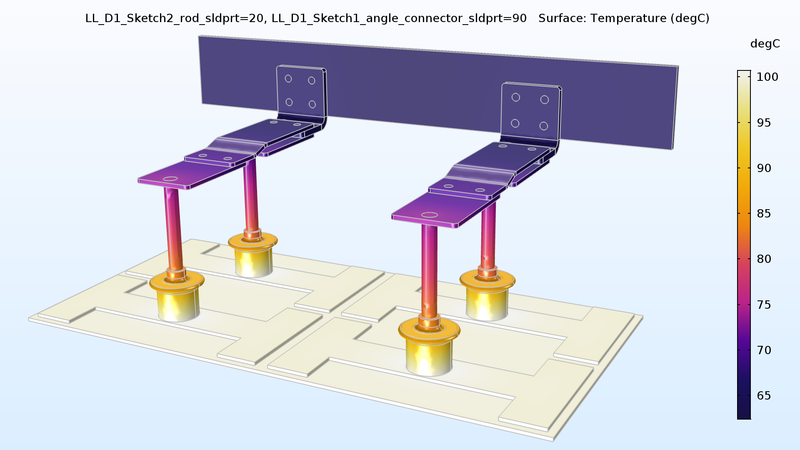 Read on for a brief introduction to some of the significant updates to the COMSOL Multiphysics® and COMSOL Server™ platform products and add-on modules. Before getting into the physics-specific updates, let’s take a look at a couple of the features that can be employed by every COMSOL Multiphysics user. The copy-paste functionality has been extended to physics interfaces and even entire model components. For example, when working on a model that has multiple components running similar but varied analyses, instead of redefining several of the same physics boundary conditions over again, you can copy your already defined physics interface into a different component and make slight changes. 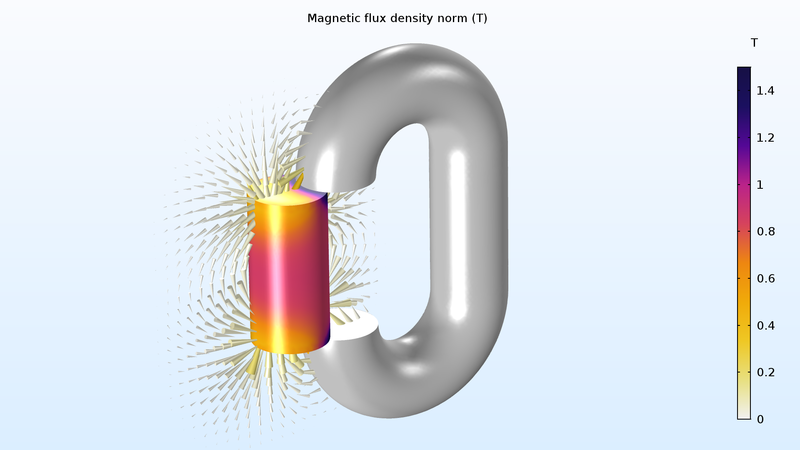 This could become the most used feature of the 5.3a release (learn more about it on the COMSOL Desktop® page in the Release Highlights). A loudspeaker model visualized with the new Cividis color table. The release of COMSOL Server version 5.3a also provides the most comprehensive list of new features since its debut. Administrators can set up automatic login for repeat users, eliminating the need to sign in every time they want to run an application. 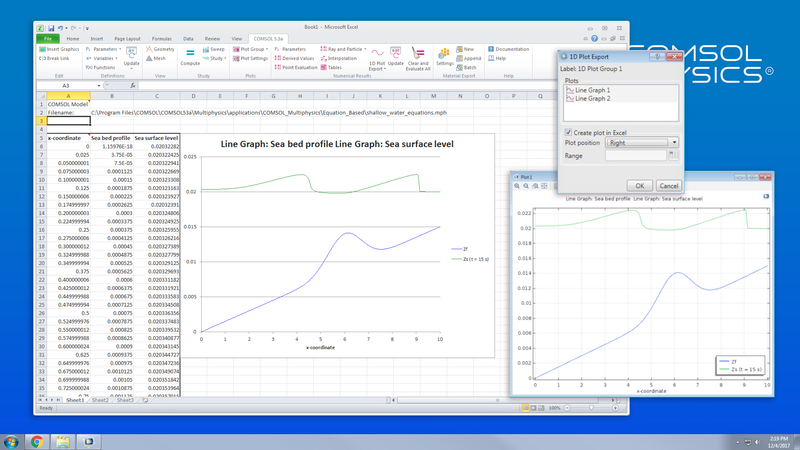 App creators can edit the title, description, and thumbnail for an app directly from the COMSOL Server user interface. A new app has been added to validate cluster setup; to test settings for cluster and remote computing. Notifications can be sent to users to inform them of new or updated apps. All of these features and more can be found on the COMSOL Server Updates page in the Release Highlights. 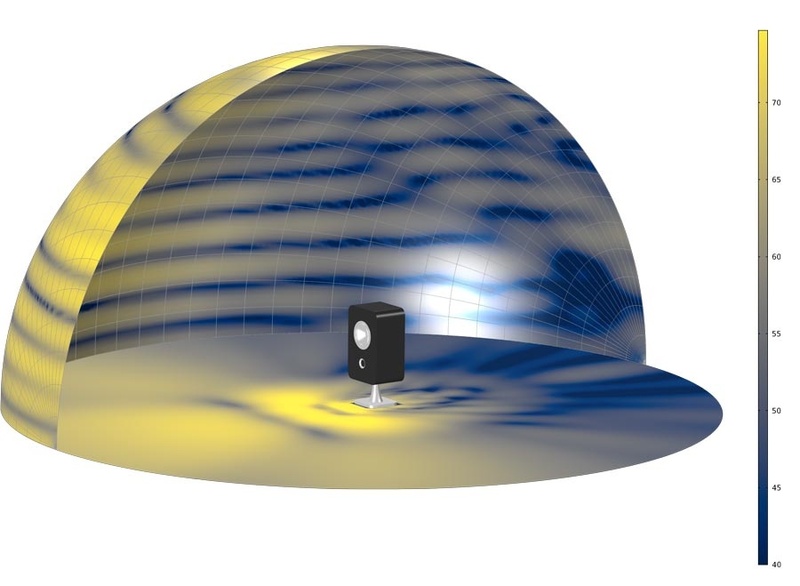 Model sonar systems, such as this tonpilz transducer array, with a new hybrid BEM-FEM modeling approach in the Acoustics Module. 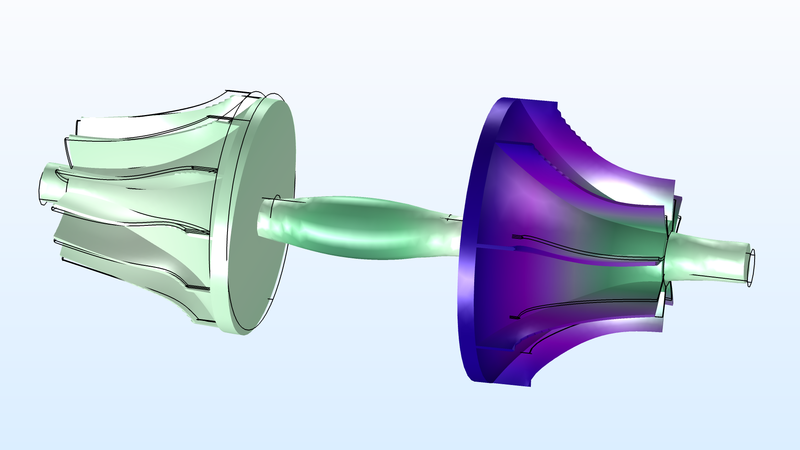 A new vibroacoustic loudspeaker model has six multiphysics couplings to employ a hybrid BEM-FEM approach, for solids and shells. 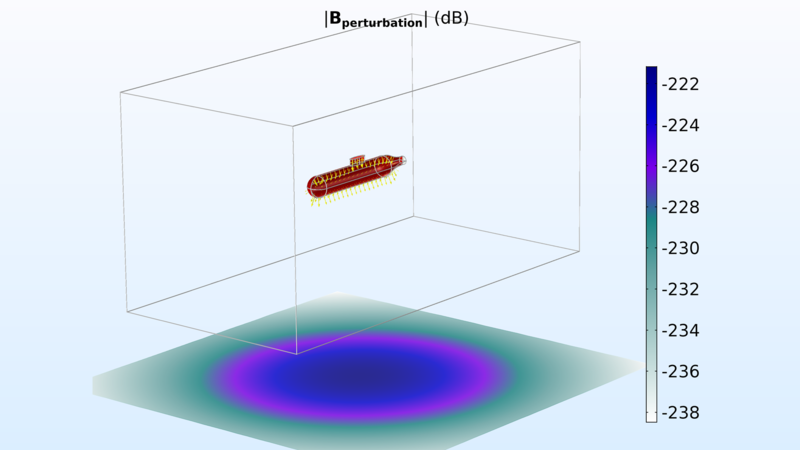 This Bessel panel tutorial model has been updated with a BEM-FEM hybrid modeling technique for the Acoustics Module. Modeling bolt thread contact has been made easier. 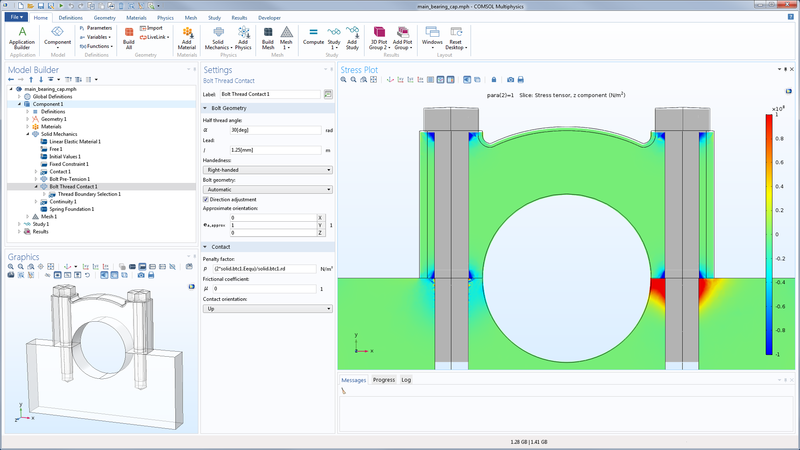 Now, you can include the friction effects from threads on cylindrical surfaces with the Structural Mechanics Module. 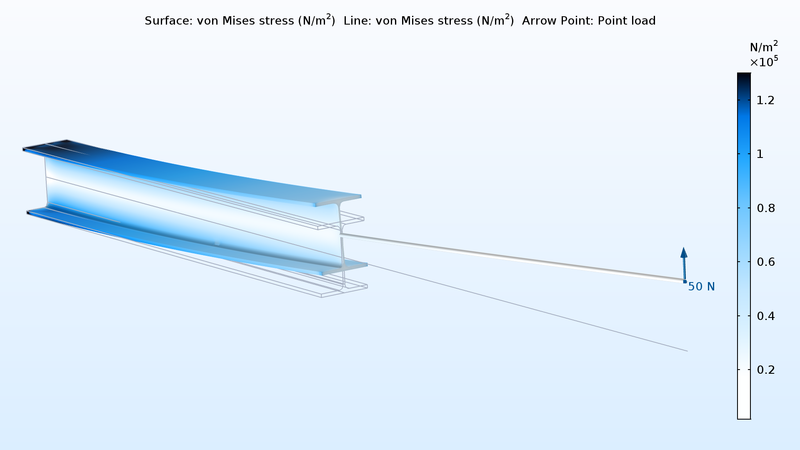 As seen here, you can couple beams to solids in 3D, and it is easier than ever with a new connection type in the Structural Mechanics Module. The Rotordynamics Module has a new model of a turbocharger that includes cross-coupled bearing forces. 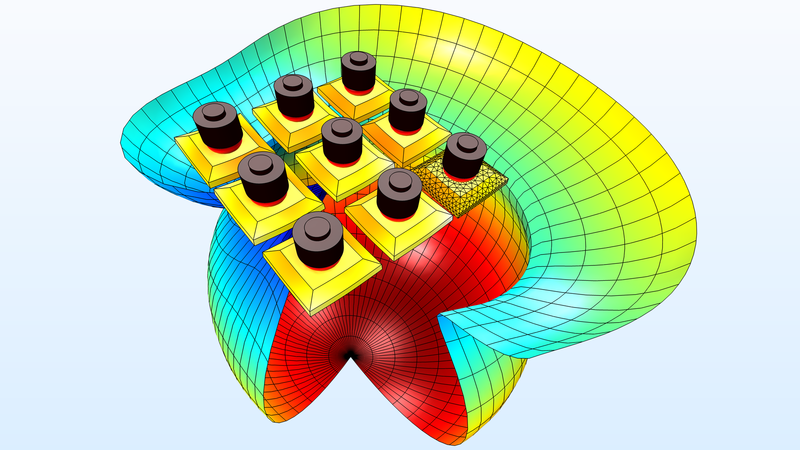 With the AC/DC Module, employ the boundary element method in magnetostatics in addition to electrostatics. 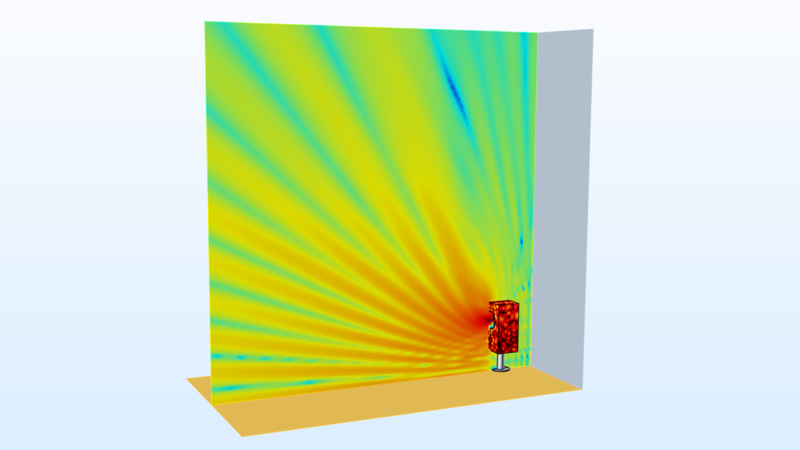 Model the demagnetization of permanent magnets in the AC/DC Module. Run adaptive frequency sweeps for 10 times the frequency resolution as compared to regular sweeps, with the RF Module and Wave Optics Module. 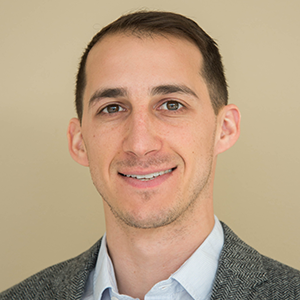 Model capacitively coupled plasmas orders of magnitude faster with a newly invented solving method in the Plasma Module. 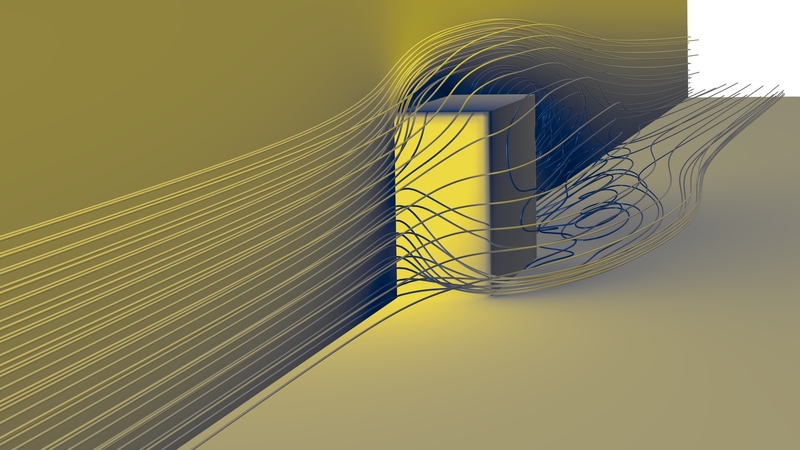 A new RANS turbulence model, in the CFD Module, gives you the ability to model realizable turbulent flow. This image also shows the new Cividis color table. 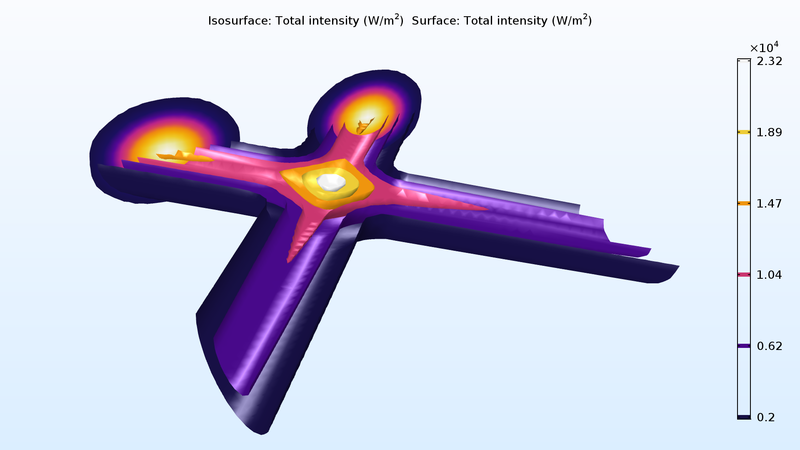 Specify upstream conditions on Inlet (CFD) and Inflow (Heat Transfer) boundaries to model more accurate turbulence properties. 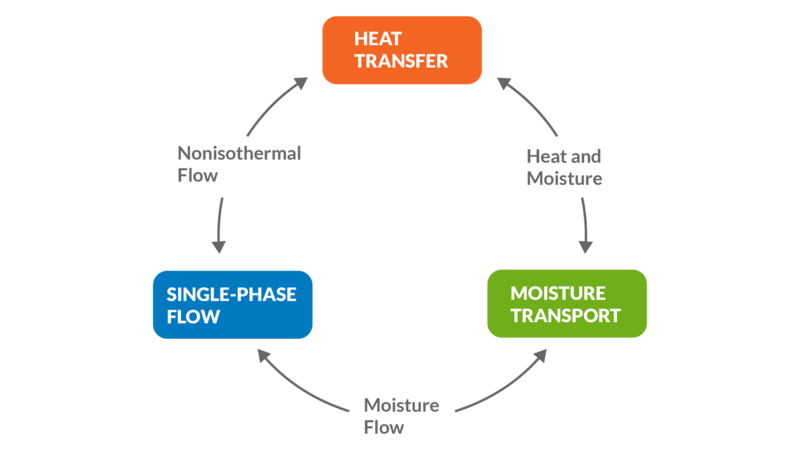 The Moisture Flow coupling completes a comprehensive multiphysics approach to modeling moisture flow in air with the Heat Transfer Module. 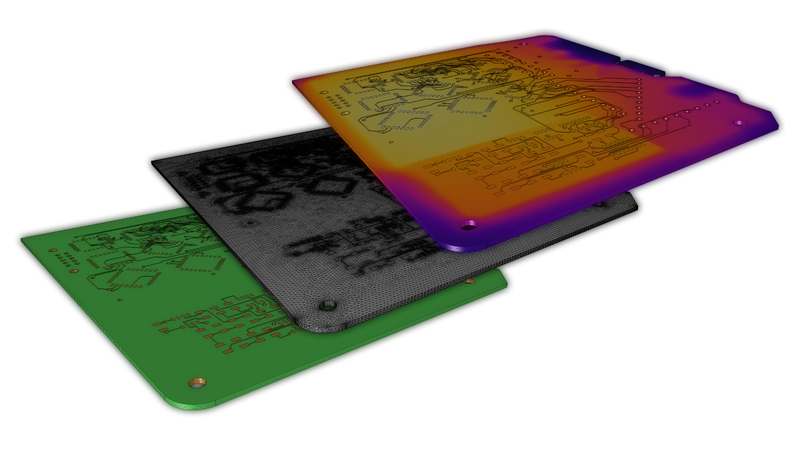 The Heat Transfer Module also includes a new interface for modeling the propagation of electromagnetic radiation through absorbing media. 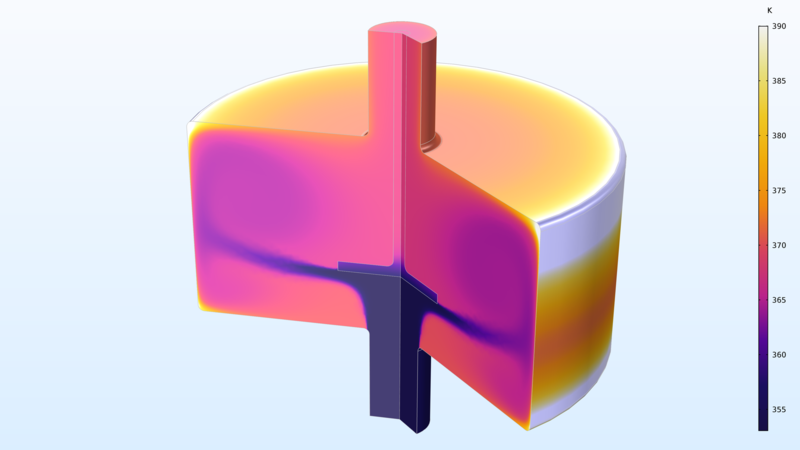 This engine coolant model employs the new thermodynamics properties database included in the Chemical Reaction Engineering Module. Run a full CAD assembly analysis with the new busbar model for the LiveLink™ for SOLIDWORKS® and LiveLink™ for PTC® Creo® Parametric™ products. 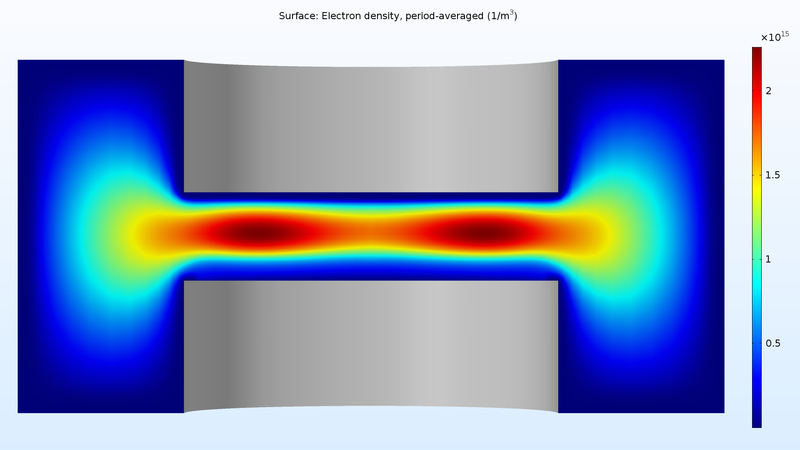 Create scatter charts with data from COMSOL Multiphysics® with the click of a button: the new 1D Plot Export button. The ECAD Import Module now supports the IPC-2581 format, a standard for the transfer of PCB data. 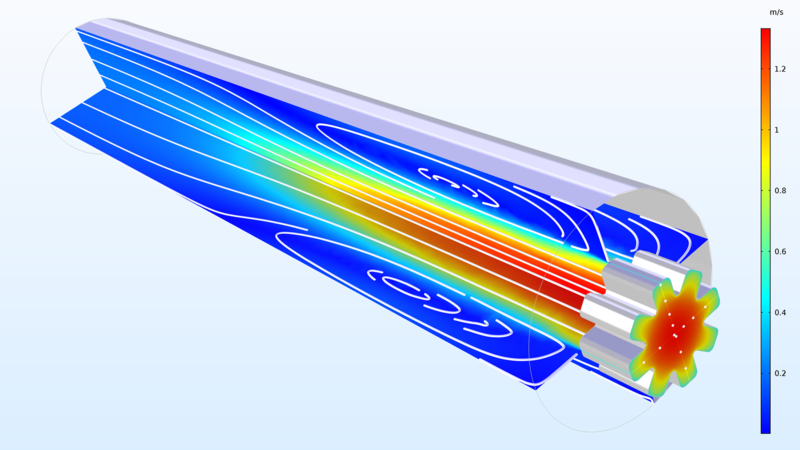 To view all of the news in detail, check out the Release Highlights pages for COMSOL Multiphysics and COMSOL Server version 5.3a. Be sure to keep up with the blog as well; we will be covering new features and tutorials in-depth over the next few months. SOLIDWORKS is a registered trademark of Dassault Systèmes SolidWorks Corp. PTC, Creo, and Creo Parametric are trademarks or registered trademarks of PTC Inc. or its subsidiaries in the U.S. and in other countries.